Small Group PT Strength sessions are becoming increasingly popular, particularly ones focusing on circuit training. These sessions allow participants to focus on various different muscle groups using a variety of exercises. For people who are relatively uninjured they can be a useful addition to one’s strength program. Here at PilatesCan we try to provide some variety with our Pilates Matwork sessions including offering a session on our Pilates Mat schedule, similar to a “Small Group PT Strength Circuit session”. Held on Wednesday mornings at 6am, our “Pilates Mat Strength” session is different to our normal mat class, as it follows a circuit training format with heavier more intense movements using extra resistance. 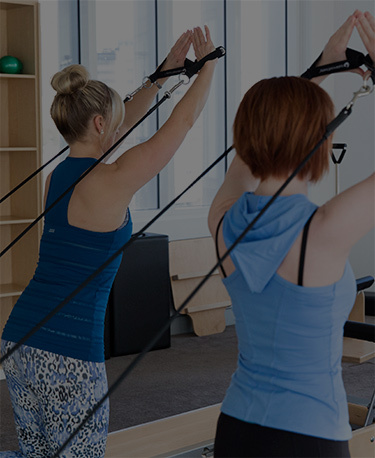 While experienced clients know what to do just from hearing the name of each exercise, instructors always tailors sessions to suit the individuals who are participating on the day, from beginner right through to experienced. Movements are usually much slower to assist with achieving precision, compared to the more global goals of a Small Group PT Circuit session. Slow movements help negate the use of momentum, which might cheat the participant out of valuable benefits. All clients do the same movements at the same time, with some variations depending on individual skill level. This ensures verbal cues given by instructors are relevant to all participants. Pilates Mat also has a social aspect which can enhance the results clients feel at the end of each session. This is why we like to keep our numbers small (max of 10). Both our Pilates Mat and Small Group PT Strength class benefit from this. 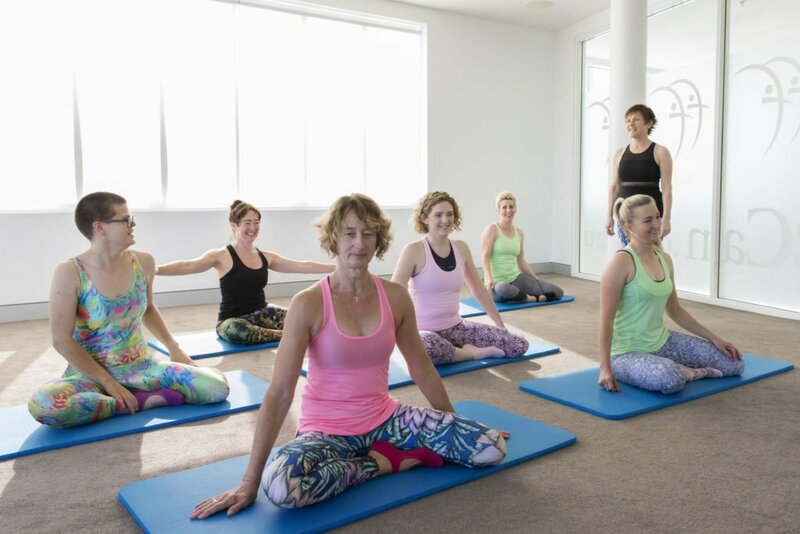 With around 10 highly qualified and experienced Pilates mat instructors teaching a dozen different Mat sessions, we ensure there is a session to suit all our clients. While our instructors all have different personalities and techniques they all aim to provide a total body workout with the overall goal of maximising their participants’ postural strength and mobility via safe, varied, interesting and effective repertoire. We also offer Beginner Mat courses for clients who are new to Pilates. Consisting of 4 x 1 hr sessions over 4 consecutive weeks these courses provide new clients with the best intro to our continuing mat sessions and we are always adding new dates for these courses with early bird specials available for new clients who book in at least 2 weeks prior to the course start date. Having said all that we know that many new prospective clients are very healthy, strong, body aware and capable. So, if the dates available for the beginner courses are inconvenient, beginners may prefer to pick things up as they go along in our usual Level 2/3 sessions and above, without having to attend a beginner’s course first. We have enough sessions on our schedule ensuring booking into any of the options to be easy, with only a couple of sessions totally booking out each week. So make sure to get in quick!